Located in California and surrounded by a stunning backdrop of dry arid land and forest-covered steep hills, Lake Williams not only offers fantastic fishing but also provides a perfect environment to do it in. There are seven different species of fish to target and the lake has features all across the 2000 acres meaning that a variety of tactics, presentations and techniques are needed depending on the conditions you are facing. Two clusters of rocky islands at either end of the lake are great holding spots for the bass but the changes in depth and features they provide in open water shouldn’t be ignored as you hunt down the trophy sized fish. Lake Williams features a new species for Fishing Sim World, the spotted bass. Looking remarkably similar to the largemouth but with its first and second dorsal fin connected, the spotted can be found in much deeper water than smallmouth if you are trying to single them out. 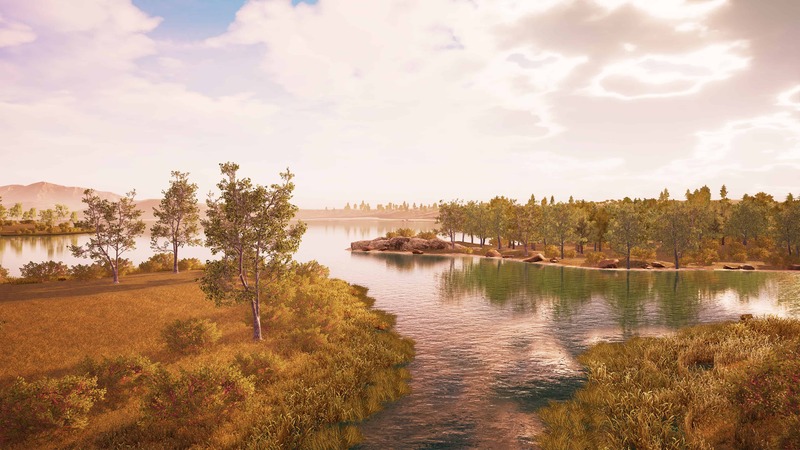 The seven species found in Lake Williams are largemouth bass, smallmouth bass, spotted bass, bluegill, yellow perch, black crappie and white crappie and comes with five different achievements to unlock.